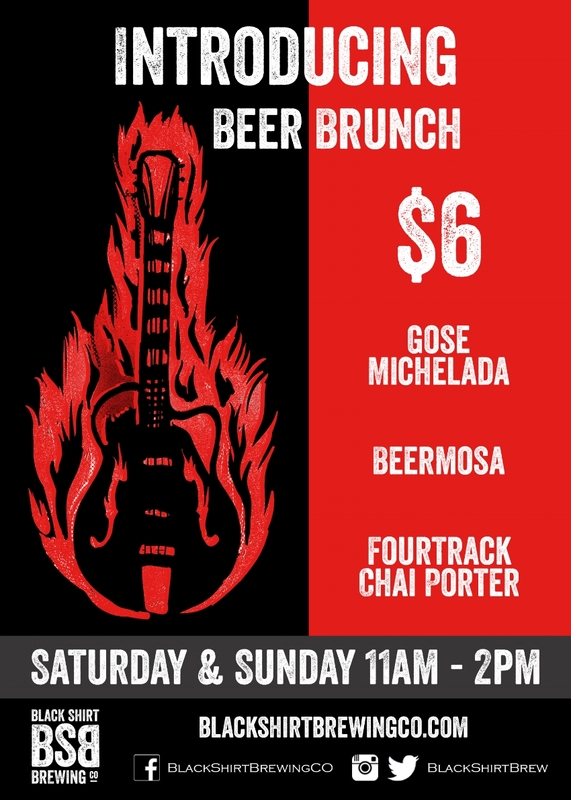 Have you come in to experience Black Shirt's Beer Brunch? If not, you should be! Whether you are starting off your busy day or shaking off that hangover from the night before, we offer delicious beverages to set you straight. Our Gose Michelada with The Real Dill's bloody mary mix is the perfect balance of salt, brine and acidity while the effervescence of the beer keeps it light. Semitone saison is the perfect lighter bodied alternative to your traditional mimosa blended with juice for a perfect fizzy but not to sweet treat. Lastly, come enjoy our Fourtrack Chai Porter. This seasonal cult classic doesn't last long so come enjoy while it is still available. Every Saturday & Sunday in the taproom - 11AM-2PM. Brunch is meant to be drunk!